Burgers are one of the top - listed tastiest junk foods. Burgers are rich in unhealthy fats that create a bad impact on your body weight and heart health. Making a healthy burger takes little of your time. Roll oats over the patties to make it fiber rich. Bake or shallow fry the patties. Incorporate healthy vegetables like peas, mushrooms, soya and green leafy vegetables. Sprouts and avocado can also be added into the Pattie, as they are healthy for the heart. Prepare smaller sized patties.This will help control your portion sizes. It should be as big as your palm and not more than that. Share the burger plate with fruits and dry fruits. Avoid meat and use lean chicken, or spread boiled egg whites in it. You could make the bun healthy by choosing a multigrain variety. This way, you will also include other cereals and millets in your diet. Try to avoid cheese, as this can add to your calories. 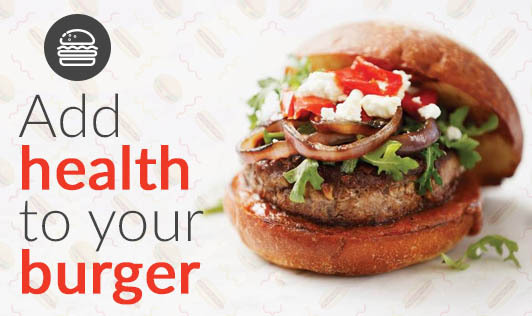 Now that you know how to create a healthy burger, go ahead, and give your palate a new taste!